Is there a more timeless director than Jim Jarmush? The director, at the forefront of the wave of new indie talents of American cinema in the 80's, has conducted his career admirably, faithful to his style and philosophy while constantly surprising us. He dazzled Cannes with his vampire film Only Lovers Left Alive in 2013, and he is back on the Croisette with Paterson. 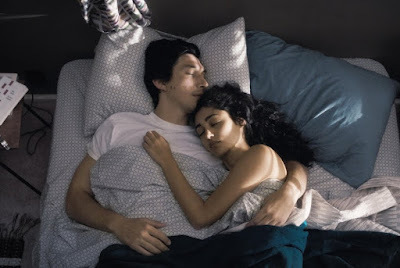 In Paterson, Paterson (Adam Driver) is a bus driver in the city of Paterson, writing poems to keep the dreary routine of his job at bay, while his wife Laura (Golshifteh Farahani) embarks on her own artistic pursuits. Paterson belongs to the more mellow side of Jim Jarmush's cinema, and is comparable to Broken Flowers, with which it shares a reflection about relationship. While very much set in the present, there is a timelessness to the film, its setting, some of its characters and particularly its lead, Paterson, who eschews technology, relying on his trusted notepad and pen to write his poems. Some might accuse the American director of hisptery nostalgia but that would be unfair. There is not rose tinted view of the past here, simply because the director has never looked back, he is above the past, the present and the future. Paterson is about the somehow meaningless routine of everyday life of most people, and the way some deal with it through an artistic output. The film focuses on the sort of trivial non-events other films ignore, and follows Paterson's routine as he eavesdrop on his passengers (leading to some very amusing scenes), goes home to his wife and writes his poems, and the slight variations of his days are oddly riveting. There is also a nice portrayal of a blue collar city that is far away from the usual condescending stereotypes about this social class (the ones populist politicians describe as "real" people). The film also deals with relationships, but not about fiery passion, rather the way people accommodate the daily routine into them, and the mutual, quiet appreciation that make them. Paterson's wife, Laura, is the ying to his yang, a creative, luminous and very upbeat woman with an appetite for trying and embracing new things, be it cooking, music, or whatever takes her fancy. The director teases the audience by making it clear that we understand Paterson and his deadpan ways better than his wife ever will, yet their love and contentment is obvious. This is a nice commentary of how one can never expect to fully understand one's partner, and vice-versa, and yet their relationship is wonderful, full of mutual respect and support. Laura's character might come across for some as a bit one note or whimsy but it would be a wrong reading, particularly thanks to the luminous performance of Golshifteh Farahani. She is very much his equal despite their completely opposite personality. As for Adam Driver as Paterson is quite simply phenomenal. 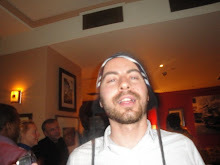 Evoking the existential ennui of his laconic character with much subtlety, with a wry smile and a stare of the oblivion, we feel his constant inner struggle between the quiet appreciation of his simple life and a yearning for something better. The scenes in which he drives the bus while his voiceover reads through the poem are full of lyrical melancholy, and among the most impressive the American director has ever shot. As profound as it is gentle, Paterson is yet another triumph from Jim Jarmush.